I couldn’t let a significant event like World Baking Day go unnoticed on Drizzleanddip.com. I adore baking and I have done so many recipes on this blog in the 8.5 years of its existence. These recipes are my all-time favourite and it was pretty hard to choose from the long list what to include here. I have 10 best cake recipes but these are a mix of various treats that I make again and again and have become super popular on the blog. These are the ones I suggest you turn to whenever you want to spread some love, because baking is an act of love. Enjoy! 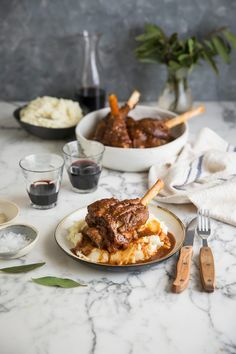 This recipe is one of the most popular posts of all time on Drizzleanddip that landed on the front page of Google way back and still happily takes pride of place there. It really is the best and only South African crunchie recipe you will every need. This famous purple plum torte which I first spotted on Smitten Kitchen is one of the easiest and most delicious baked treats you can make when plums are in season. They bake into the cake batter forming gorgeous jam-like pools making this perfect to serve as a desert with whipped cream. I made this delectable loaf a year ago and have not stopped dreaming about making it again since. It’s insanely wonderful. This well-known South American cake It is utterly delicious with a sublime texture. I’m pretty sure it’s the best tres leches cake on the internet. I landed up using six types of milks as opposed to three so it should actually be called a seis leches cake but somehow that doesn’t sound as cool. This pineapple and banana Hummingbird cake is defs one of my faves. I also use this recipe as my base for carrot cake or various other fruit cakes with apple or pears. It’s so moist and delicious and this is my go-to cream cheese frosting. This is a classic Italian recipe for something that you break up and serve in shards with grappa. I personally leave that out and love the very crunchy texture of this with hints of orange and vanilla. It is so moreish you can’t stop hitting the cookie jar with this one. This recipe is everything its cracked up to be and I am in love with it. This is a fantastic recipe for Madeleine’s and also the easiest. You can play around with it and change the flavour to suit your taste. This is my all-time favourite apple crumble recipe and apple crumble is one of my best desserts. You must make the creme anglaise yourself too. It makes all the difference. This easy recipe for a boiled fruit cake is one I dug out of my maternal grandmothers recipe book. I adapted it and used stout instead of water but its great either way. Everything is mixed by hand it could not be simpler. If there was ever a cake designed to eat for breakfast then this is it. Serve with fresh ricotta, sliced stone fruit and a generous drizzle of honey. These are more like mini pavlovas and when served with fresh cream and the syrup poured over, are a real show stopper. I’m personally all for fruity hot cross being eaten all year round. Toasted with butter dripping through, they are a thing of perfection. This recipe with stout is easier than it may look at first and you could a freeze off any extra for later butter and toast heavenly moments. These are my fave cheese scones, and so easy to make too. While we are on the topic of scones, I love them so much I had previously created a round-up of my 5 favourite recipe, but these sweet scones with fresh pomegranate pearls that burst in your mouth while eating are pretty damn fine. I’ve added fruit mince to the apple in these bars but you can really add anything you like. Jam and apple works brilliantly too. They are my fave fruit bar recipe that feels like shortbread and apple crumble got together and made a love child. The crunchy flaked almonds on top are the best bit. This is the famous chocolate nemesis cake form the River Cafe. The one with the renowned printing error, but I have the correct version. It’s essentially like a baked chocolate mousse and the ultimate dessert to end a diner party. These are the very best red velvet cupcakes you will even find and the recipe comes from Magnolia Bakery in NYC (the mothership of cupcakes). I have used my own cream cheese frosting on them though. This is a superb fruit muffin recipe which you can adapt. But I love the flavour combo of apricots and blueberries. If you are looking for a fab savoury quiche recipe, this is it. These are my fave brownies and the Nutella toping just takes it over the edge, they are perfectly fine without it too. Oh my word! Absolute pure delight! Thanks so much for sharing these fabulous recipes again! I just want to bake/make ALL of them! I can’t help reading those recipes with stout in the title as the afrikaans stout (naughty) – equally as charming a name of a recipe – naughty hot cross buns! I’m not much of a baker and this made me want to switch on the oven!!! Such a delicious collection of recipes! I especially love your apple strawberry crumble and crumble bars!